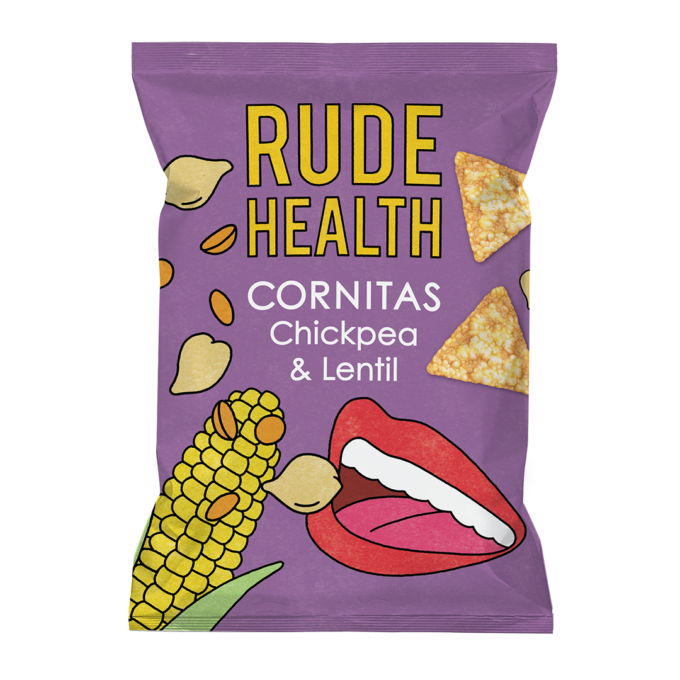 Award winning food and drinks brand Rude Health have just launched their new range of 'Cornitas' snacking chips, with flavours, and new package design, that pack a punch. 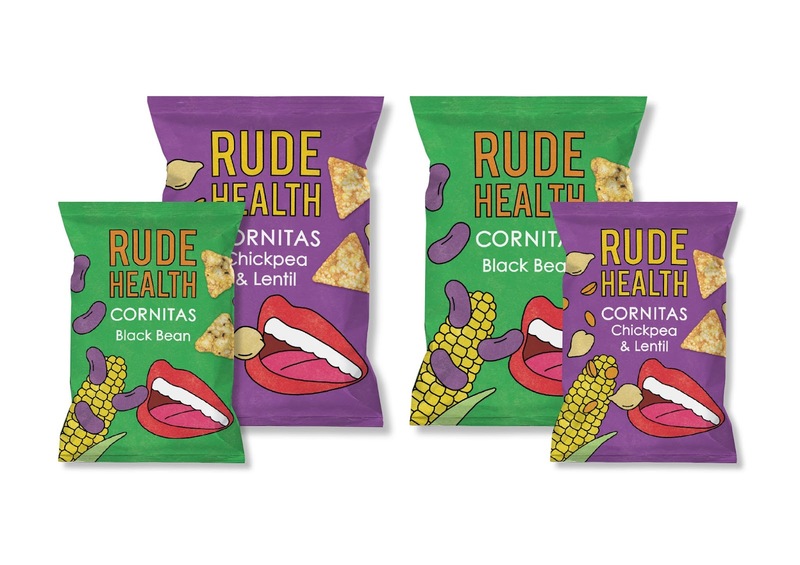 Behind the design of the new Rude Health Cornitas range is Irving & Co, an independent design studio specialising in communication and packaging design for both the food and retail sectors. Julian Roberts, who was behind the project at Irving & Co, said that the objective was "to build on the ‘pop art’ aesthetic of the Rude Health umbrella rebrand that was unveiled in 2013. The Tom Wesselmann inspired lips icon symbolised the sunny, positive disposition of 60’s California - endless blue skies, vibrant colour, abundant photo-realistic ripe ingredients and people being ‘in rude health’. 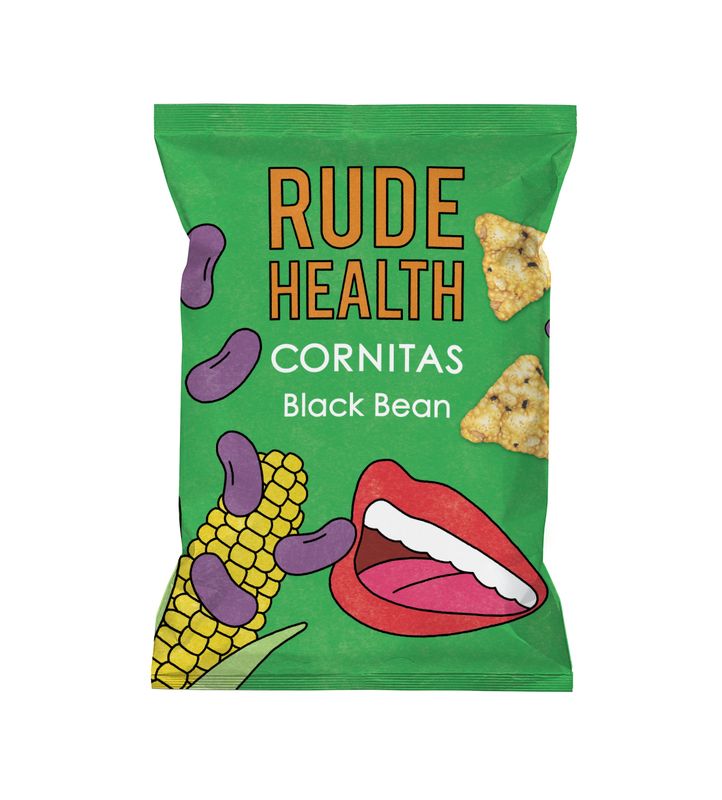 However we wanted the Cornitas to be distinct from the core range of Rude Health products - to have a more immediate personality. The work of British Pop Artist Patrick Caulfield, sparked our imagination and led us to the work of the Dutch illustrator Seb Agresti who we commissioned to help bring to life a bold new design."